Donald Trump had a one-word, four-letter response to the U.S. Senate vote rejecting his declaration of a national emergency on our nation’s southern border. “VETO!” he wrote via Twitter. OK, so the president has thrown down on both chambers of Congress. The House and the Senate both have rejected Trump’s view that a national emergency exists on our border. They contend that no such emergency exists. A majority of both legislative chambers has stood up against the president. This is what divided government brings to the table. Trump has the constitutional authority to veto the legislation that rejects his national emergency declaration. 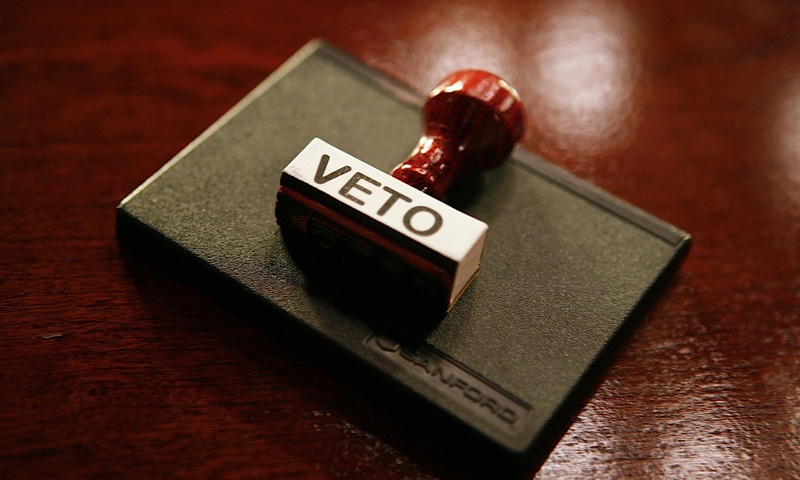 Congress also has the authority to override a presidential veto. It cannot do so with a simple majority. The override sets the bar higher than a vote to enact a law in the first place. Should the president carry out his veto threat? Does he risk sticking in the eye of a co-equal government branch that has spoken ostensibly for the constituents who elected its members? Trump’s national emergency declaration is as phony as it gets. Astonishingly, the president himself has admitted that the declaration is unnecessary. “I didn’t need to do it,” he said immediately after declaration the emergency. The move is meant to empower the president to reallocate money approved by Congress for specific projects; he wants to redirect the funds to build The Wall he says would stem the flow of criminals pouring into the country. Twelve Senate Republicans joined their Democratic colleagues in rejecting Trump’s emergency declaration. The rest of the Senate GOP caucus, interestingly, stood behind the president of their own party after chiding his predecessor — Democrat Barack Obama — for the alleged “lawlessness” of his own executive procedures. To my way of thinking, Trump’s serious overreach in reaction to a phony immigration crisis is far more “lawless” than anything that Obama ever did. The president is empowered to veto the rejection that is heading for his desk. He’ll likely carry through with the threat. It won’t solve any of the political problems that are piling up around him. So the battle rages on.